Please see Part I of this article for general information on some of earth’s most toxic amphibians (if not creatures in general) and for additional newt-keeping observations. 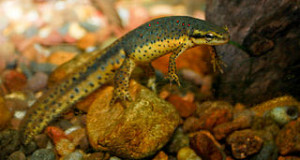 The familiar red-spotted or Eastern newt (Notopthalmus viridescens) is at its most toxic in the immature eft (land) stage, but the aquatic adults are none-the-less well protected. Decades ago, the mascot of an animal importer for whom I worked was a huge marine toad (Bufo marinus). In those days, animals imported from then French Guyana were particularly massive, and this friendly, 4 pound+ specimen was no exception. Imported animals which did not thrive following their long journey to the USA, ranging from giant Vietnamese centipedes to small rats and finches, all went to filling this amphibian behemoth’s huge appetite. As a naïve 13 year old animal caretaker, I once tossed a nearly dead, 3-inch- long Eastern newt to the toad. The newt was swallowed immediately and, right before my eyes, the toad flipped over…dead (along with my budding career!). Years later, a co-worker reported a similar incident involving a Western painted turtle (Chrysemys picta bellii). Several salamanders have quite unique ways of distributing their protective secretions – fire salamanders (Salamandra salamandra), for example, can squirt theirs for some distance. Perhaps strangest of all, the Spanish ribbed newt (Pleurodeles waltl) actually drives toxin-tipped ribs through the skin of its back when confronted by a predator! 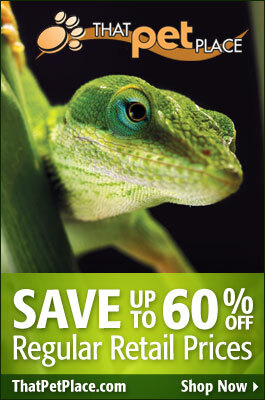 Highly toxic newts and salamanders, including all mentioned in this article, are widely available in the pet trade. Many make interesting and long-lived pets. However, please treat all newts and salamanders with caution…always wash well after handling them (most need not be handled, and none appreciate it) and, of course, do not trust them around children, mentally challenged persons, or pets. Please check out my book Newts and Salamanders for more information on the natural history and captive care of red-spotted newt, ribbed newts, fire salamanders and their relatives. Image referenced from Wikipedia and originally posted by Peter Galaxy. I’ve heard that college students have swallowed them (similar to the goldfish-swallowing craze) and died. Can this be true? Hello Dawn, Frank Indiviglio here. Nice to hear from you again, thanks for your continued interest in our blog. It is indeed true…I’ve read of at least 2 well-authenticated cases, published in Herpetologica over the years, and have spoken with a herpetologist in California (all fatalities cases seem to have occurred there) who was called in as a consultant at one point. Good luck, enjoy and please stay in touch. We caught 2 newts in a creek nearby our house here in northern california. My 7 year old handled them but thankfully he didn’t get numb hands. I had no idea they were this toxic! They are brown with slimey skin…do these ones have toxic skin too? Should we take them back to the creek? We put them in a beautiful terrarium. They’ve laid many eggs too… Do you know what they like to eat? We got some blood worms and “Newt Food ” from the pet store. Does that sound right? Hello Heather, Frank Indiviglio here. Thanks for your interest in our blog. The toxins are only effective upon entering a cut or the mouth or eyes, so be sure he washes well. Newts shouldn’t be handled if possible, because doing so also removes the protective slime on their skin, leaving them open to bacterial attack – best to use wet hands if they must be moved. California has 50-55 newt/ salamander species, many of which fit your description, and care/proper habitat varies with the species. Please check this link to California’s Salamanders, which has photos of all of the state’s species. Once you’ve identified the animals, please write back and I’ll go over their care and feeding. You may also wish to check with your state Fish& Wildlife Dept., as several species are protected and should not be collected. 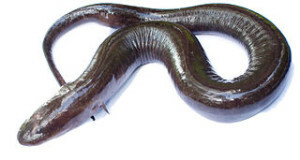 The Two Toed Amphiuma: a Giant Salamander that Bites Like a Watersnake!